In addition to delivering high quality cut and bent reinforcement and accessories we also provide offsite prefabrication, carpet reinforcement and other value added products. 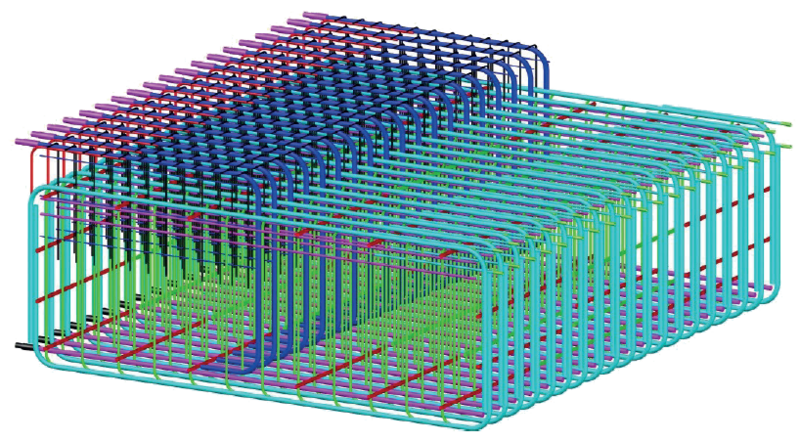 ERL were the first rebar supplier in the UK to offer 3d reinforcement detailing and have been delivering innovative and effective buildability solutions since circa 2004. ERL’s solutions have provided substantial benefits to many high profile projects during this time. The benefits of 3D solutions and offsite prefabrication are quicker installation, reduced hook time, less on-site working and reduced safety risks. Using our offsite facilities to prefabricate allows the contractor to raise productivity of path critical key elements within the project. This and the ability to deliver to the requirements of BIM Level 2 keeps ERL at the forefront of rebar supply with added value. ERL takes pride in only supplying UK sourced steel reinforcement products. Our reinforcing steel is produced by the (EAF), Electric Arc Furnace method which uses recycled metal as its primary raw material. This process guarentees a recycled content of 98%. All of the recycled metal used in this process is sourced from within the UK. ERL Technical focuses on reducing waste and process on site by using value added products like carpet reinforcement, prefabrication and utilisation of stock lengths. Waste can be defined as anything from time to a commodity. This is achieved by working with Clients, consultancies and construction companies to look at the design, construction program, safe working practice and site requirements. Areas of work that suit a modular system are then identified. 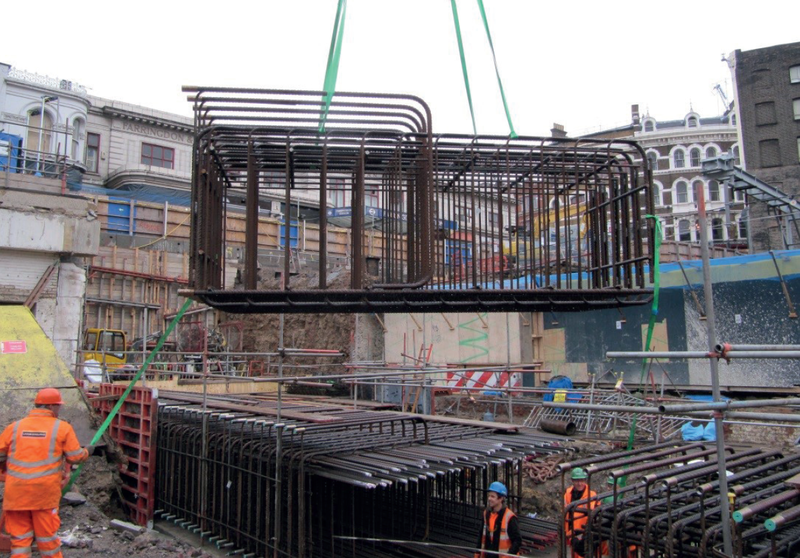 Reinforcement can be removed from the critical path by offsite fabrication and the construction process accelerated by mobilising later and demobilising sooner. Design intent and the concrete model are used to create a loose bar solution. A modular system is created from this loose bar arrangement. Electronic drawings and schedules are produced for loose reinforcement, carpet and prefabrication. 3D models of the concrete and reinforcement are created. These 3D models are then brought together to create a Building Information Model (BIM). The BIM shows the interaction between the concrete outline, embed items, the loose bar, carpet and prefabrication. A BIM identifies areas of clash and congestion therefore reducing the technical queries on site. The BIM can be used by consultancies to accelerate the checking process and is a powerful visual aid during the construction process. General Arrangements are used to show the layout and orientation of the loose bar, carpet and prefabricated cages. Dimensions from gridlines or coordinates can be used to identify their location. Construction sequences and delivery schedules are provided to optimise transportation and suit pour layouts and site requirements. Early involvement at tender stage can optimise the design and construction solutions.